If you're choosing the restaurant, where are you going? Just curious about the restaurant choices where you all live. There have been many wonderful restaurants in the area over the years, but as the older members (cooks) of the family move on, the restaurants don't survive. I'm located between two small cities...one basically has choices of pizzas, subs, diners, Italian, or Chinese food. and everyone offers the same choices. The only place I really like there is an old sports bar with the best burgers I've ever had. The larger city is a melting pot for refugees and the population make-up there is changing all the time. I'm longing for the good old German restaurants and the American restaurants that aged their steaks, but my current favorite restaurants there are Indian, Lebanese, and Bosnian. A group of us was supposed to meet at an Irish pub for late lunch yesterday, but it turned out to be closed for a private party. We ended up at my favorite Bosnian place instead, and I'm not the one who suggested it. :) If I'm choosing, it will probably be one of those four places, but it depends on who's coming with me. What are the restaurant choices around you like? which are your favorites? Living in a college town there are more pizza, chicken, and taco choices than my diet can tolerate. Fortunately, I have a world-class sushi bar and two amazing barbecue joints. I probably eat sushi three or four times a week (lunch or dinner) and barbecue at least once. We also have a plethora of great restaurants in a number of other cuisines but sadly no good Chinese or Italian food. Fresno has an incredible number of really good restaurants, so choosing which one depends entirely on one's mood. Fish/Seafood would be Pismo's; Italian would be Parma; Peruvian would be Límon; a good hamburger would be Eurika: BBQ would be Westwoods; and the list goes on and on. NYC. So many choices. Always what I could not care to attempt home. Rarely dinner out since our schedules do not match...weekends we like to cook at home together. We have a number of Italian BYOB's near us in the Philly suburbs, and they range from more family-style pasta and pizza (I'm leaving out the pizza-centric places and only speaking of nicer places) to high-end Italian dishes, not a pizza in sight, amd they are all good.. I like the BYO concept, and heavens knows how much we save over the overpriced wine lists in other restaurants. We go out to a steak once a year, for Jim's birthday, to Ruth's Chris or Morton's. I wish there was more/better fish around here. And I wish that there were some French BYOs. I don't drive into the City for dinner unless we're with others. We were here http://www.trattoriamoma.com/ with friends last night and had the Sunday 4-course dinner and 6 bottles of wine. Wonderful We plan to go here https://ristoranteimperatore.com/ next month for our monthly wine-tasting dinner. Mostly all the usual big chains in our area. So there are no high-end ones, the nearest ones are about 45 miles from here and I'm not one for spending that much money and time and gas to go to a restaurant anyway. Very few small good ones. There is a very small franchise here with Greek food that is very good and it's in a strip mall, nothing special, you order at the cash register, they bring you the food, very reasonable and everything I've had is fresh and delicious. The one seafood restaurant that was here that wasn't a chain closed so we have nothing here that's good for seafood and that's what I mainly crave that we don't have here. We have a local area sports chain that serves wings, burgers and draft beer that is pretty good. The old-world German/Eastern-European small-time restaurants are rapidly disappearing around here. There used to be quite a few but now there is only one left and it's about 30 minutes away. They were all very dated and mostly senior citizens went to them, you could tell they had been going to them on a regular basis for decades. This last one that's remained open is the ONLY place around that still serves Liver and Onions. Pickings are pretty lean here. In our town there is not much -- a classic 50s hamburger joint (that has the best hamburgers), a restaurant that does diner food (and prime rib on Saturday -- LOL), Mexican, Chinese, fast food and one really nice place where plate prices range from $20 to $60. But they have really good martinis! So our choices are limited, obviously, mostly I prefer to go to the hamburger joint with the diner place as second choice. And at both places you can eat for $6 including tip per person! I wanna go to the Vietnamese restaurant in Westfield, MA. Alo Saigon. 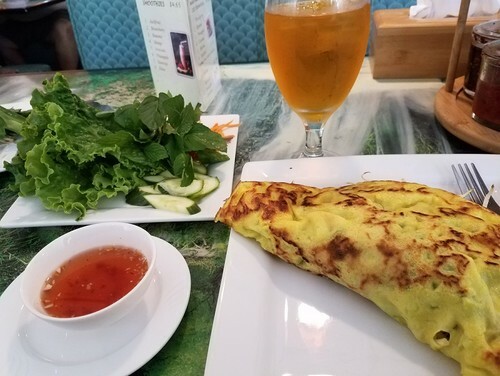 Crepes, pho, summer rolls, tapioca dumplings, a ton of other things. If I am doing breakfask/brunch, I want to go to the Farmington River Diner in Otis, MA, where they serve an excellent spinach/vegetarian Eggs Benedict with real, homemade Hollandaise sauce. I'd never had the real stuff before. Here, I no longer have to ask for the sauce to be put well off to the side!!! There is a Cuban place near my house, Pambiche, that is fantastic. I've tried so many times to make oxtail as good as theirs, and failed consistently. I used to have a crush on one of the waitresses; one night I told SWMBO and she looked at me with not exactly pity. She was a he, my exasperated wife explained. Only in Portland. We have three pretty good dim sum places not far away. We go to one until The Ratio deteriorates, then find another. The Ratio is the proportion of Asian-to-non Asian customers. Portland has quite a lot of Asian-ish places - usually some sort of expensive fusion ramen - but they often lack authenticity. I still haven't found Portland ramen as good as I used to have in hole-in-the-wall places in New York, back when I used to go there for work a lot. A barbeque place from North Portland, The People's Pig, recently opened a second site right in my 'hood. They think their original location, a baby blue shack surrounded by smokers and organic gardens, will soon be lost to gentrification, to become some soulless high priced apartment building. So they've branched out to survive. If we want to go less than a mile and a half, we can get good Ethiopian, Jamaican, and Persian. Just a bit further is a good Greek restaurant, but if we widen the circle to seven miles, there's quite a bit we can get - too many to name. There's a Korean BBQ place in Marina Del Rey that we like and lots of good (and trendy) places in Venice). We generally go to El Segundo for seafood or Culver City for Japanese, Indian, Vietnamese, Lebanese, Turkish, Syrian, etc. We stay in Westchester for Italian or Thai, but there are several Japanese restaurants we have not yet tried in our neighborhood. 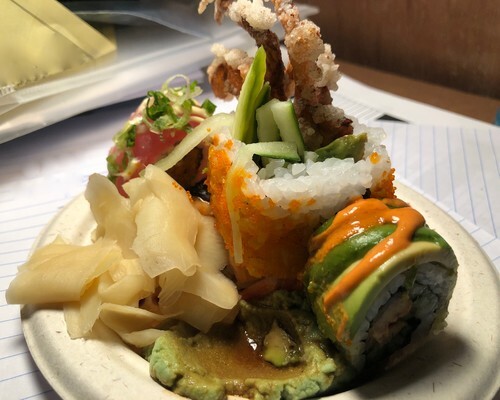 If we go to Hollywood or Santa Monica, there are even more choices, and we often go to Sawtelle (formerly known as Little Osaka) for a huge variety of Japanese restaurants. South Bay also has lots of good Japanese and Korean restaurants and is closer to us than Koreatown. We go to Little Armenia for Armenian restaurants, but there are others scattered around. 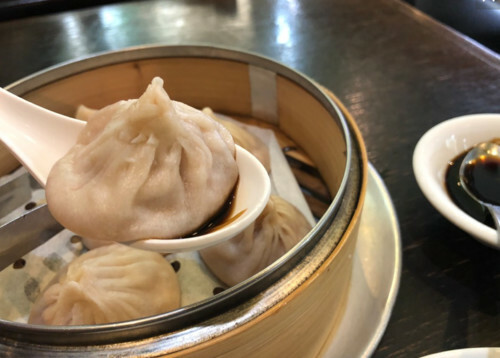 The best Chinese restaurants are in Monterrey Park, which is an hour away, as are Little India and Little Saigon, and we rarely go that far. We almost never eat Chinese food - I don't particularly like it (especially Cantonese) unless it is Szechuan or Hunan. There are Burmese restaurants very close to us, however. There's an Indonesian restaurant in Palms (just north of Culver City) that I like. I'd like to find a good Afghan or Algerian restaurant. There's a good Afghan restaurant in San Diego that I love, and there used to be a good Algerian restaurant here in the 1970s. There are a lot of Moroccan restaurants, but I don't like Moroccan food - it's very different from Algerian. A friend and I tried an Afghani restaurant, excellent, but a little further away than practical. 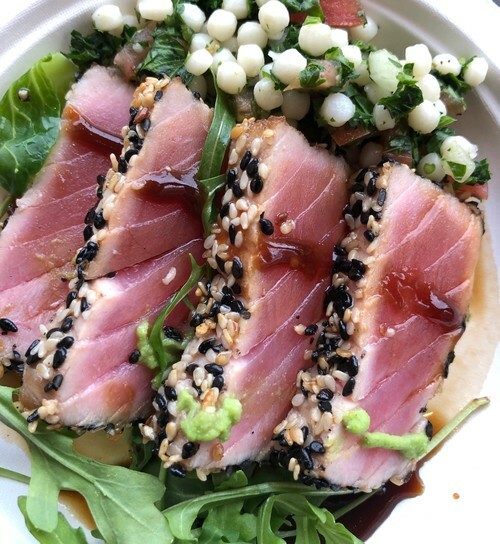 We consider our "local" dining to range from Alameda, Oakland, Berkeley, Albany/El Cerrito, and most of Contra Costa County because we live right off those freeways, so that's a 30-min driving radius within the East Bay, San Francisco Bay Area. We can find pretty much everything except good French food and good Indian food. We did have a fav Nepalese restaurant but it changed owners and the food went downhill (curses! foiled again! snarls Snoopy). Belotti Ristorante - Northern Italian and the closest to French around. Afghani - Khyber Pass and Kamdesh are the best, but we haven't tried Kabul yet which rates really highly. Will be trying to get there within the next few weeks. Paradiso - Cal-Italian, extremely reliable and consistent. Injera - one of the 3 best Ethiopian/Eritrean in the EBay. Delage/Utzutzu - Omakase sushi (same owner). There's an excellent izakaya in Berkeley but it's near UC so a pain to park and then stand in line, ugh. Iyasare - Outstanding Cal-Japanese fusion with the only issue being the food is not as precise/elegant when owner/chef Kamio is not in the kitchen. Ikaros - not the greatest Greek food, but a couple of things they make very well which we like (avgolemono and tiropita, plus they make the hands-down best tzatziki around). Lokanta - excellent Turkish food. Talas (filo wrapped chicken breast in curry sauce), flaming hellumi cheese, kunefe filo-cheese dessert. Fat Lady - makes 2 things superbly: fried zucchini with housemade blue cheese dressing, and a NY strip steak. The kitchen knows how to grill a perfect medium-rare on a thick, juicy steak. Speisekammer - German food like I grew up with in Chicago. The potato pancakes rock, with tart housemade applesauce. Korean - There are many, and most are good. Jong Ga, Pyeon Chang Tofu and Go Goong are three of the better ones, meaning less sugar and more flavor. Kingston 11 - Jamaican curried oxtails and really, really, good boozy rum cake. Minnie Bell's - the fried chicken I've been looking for forever, but I really wish it was a full restaurant instead of a food stall in a market hall, sigh. Paisan/Longbranch - share a kitchen and the housemade ricotta. I don't normally enthuse about ricotta but theirs is terrific. Each restaurant uses it in a very simple vegetarian fresh pasta dish that are the rare vegetarian entrees I will happily order. Temple Bar - Central Vietnamese food from a chef who came back to the EBay after 16 yrs in Vietnam running restaurants/bars. Literally one of the only authentic restaurants in an area with hundreds of Vietnamese places. The variety and flavors of the housemade pickles and chiles are amazing. Chinese food abounds, but it's not very good. We prefer Cantonese, which has been 'in the dumps' for decades but there are a couple of decent Sichuan/Uygur places. Like Sleevendog, Lars and Jakkom, I live in an area where there's far more to choose from, and much of it exceptionally good. My constraints are on the people I'm dining with because I'm not big on going out alone. At that point, I'm more likely to get grab and go food and bring it home. If I need to get a solo meal out, I'll usually opt for a good sandwich. My favorite for a ladies' lunch is a quaint place with a shady patio and at least a dozen good salads, as well as decadent choices for the self-indulgent. The food is excellent quality without being pretentious, and the setting is delightful. For close to home, there's a place that doesn't do dinners, but has great, simple lunches that taste sinful, but are actually nutritious. Dinners are an issue since I"m allergic to fish, and that's the majority of the menu at most better restaurants, and I disdain to get the roasted chicken from the same grower I buy mine. I mean, why go out for the same chicken I make at home? There's a neighborhood Indian restaurant which is something of an institution, with real, mom style food with authentic layers of flavor. Not layers of salt. There is "finer" Indian food here, but none so beautifully spiced. There are some good gastropubs for a casual decent meal, and one general fine dining place that's not as cozy as it used to be but still has good food. My group has tried some of the divier places that are supposed to be good, but they suffer from being cheap, in the not so good way. Just because it's all made from scratch doesn't mean it's nice to eat. That sounds cranky. That's what I feel about going out to dinner. Cranky. I've been let down too often. Let's go back to lunch. The magical, delicious nutritious place seems to be my favorite. Except on weekends, when the bruch lines are just way, way too long. The Afghan restaurant we go to in San Diego is also called Khyber Pass. I guess that is a common name for Afghan restaurants, as I do not think they are related. 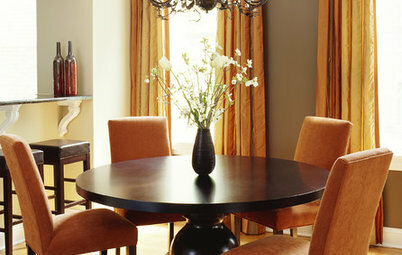 In our city home we deliberately picked a place that was near good restaurants and cafes. Mostly we eat casual Asian, there are some excellent cheap and cheerful Thai, Malaysian and Indonesian places near here or 15 minutes or less away. We have to be careful about Indian food now that DH is sensitive to onions and garlic as it’s harder to pick them out from curries and the like. There’s an awesome burger place about 20 minutes away that’s worth the drive, a real Italian pizza place close by here and a number of Middle Eastern and some Mexican places also fairly close. There used to be a good Turkish kebab place near here but now we go to one further away as new, non-Turkish owners took over the nearer place and the kebabs are no longer as good. This has happened in a number of kebab places over the past few years and it’s very frustrating. I think it’s a mistake to run a cafe featuring a cuisine that isn’t in your blood as it were, because the passion to showcase your native food isn’t there. It’s just a business for these guys, and shortcuts and cheap products become the norm. We also enjoy dim sum lunches and there are some great places in Chinatown not too far away. We also like food truck events and like sampling lots of different foods. Occasionally we’ll splash out on something more expensive we’ve heard good things about, such as this coming Sunday for lunch, but we’re more concerned with taste than cost, so if it’s expensive it _has_ to be really good. DH doesn't really like to eat out, so it's a good thing he's a good cook! But when we do go out, we like the closest option, a tiny Japanese restaurant a mile away. We can walk there through the neighborhood, which makes it extra nice. And yum. Another mile beyond it is our favorite curry/Tibetan restaurant. Our wee French restaurant moved, then moved again, but we didn't know it had moved that last time until the week before the chef/owner retired. I and my extended family live near urban centers and we have access to many excellent restaurants. I love the farm-to-table and locally sourced trends, and it seems there's a group of creative (perhaps younger) chefs influencing what's on the menus. I follow these menus, and there's almost a one-up-manship about them that ultimately benefits the consumer in terms of new mixes of flavors. But my challenge, which has been mentioned above, is who I'm dining with. My immediate family is somewhat adventurous, but they're a hungry bunch. And food volume at restaurants means sacrifices are made in terms of flavor and quality. My extended family can be fickle, too, and so trying to please everyone means we end up at good, reasonable restaurants, but not something I'd choose on my own. I'm at an age at which my caloric needs are low, and I can't and won't consume the amount of food presented on plates at most restaurants. Even mid- to upscale restaurants. I'd rather focus on flavor combinations, creativity and quality, and this means smaller quantities. But I just don't have family or friends who like to eat like this and can accompany me to restaurants that cater to this. Lars, Khyber Pass in Kearny Mesa? I haven't been there for many years, but it was soooooo good! And funky. :) They're still there? Sigh. I knew this would be a depressing thread. We have bad beach food, national chains, etc. Not even decent Chinese anymore. It's very sad when the best Mexican restaurant in town is Taco Bell, but we do have a couple of Mayan restaurants that are interesting, and we just got a mediocre Pho restaurant. We do have one Indian restaurant that's constantly under new ownership, but evidently the one piece of advice passed along from owner to owner is "Don't try it with the spices. Americans like bland." Which probably explains why they always go out of business. Depends on where I am. I'd never pick a true seafood place in my hometown, Nashville. It's not fresh! If I was back in the place that influenced me, Monterey, CA, hands down seafood. As it is, I go anywhere. I love all food. Asian, Italian, Southern barbecue, German, all of it... except what we're "famous" for, meat and threes. I hate those. All the food is overcooked and made with bacon fat. I suppose some call it comfort food, but I'm not one. I've chosen these three for my next visit to my son's incredibly small university town, Freiburg's (German), El Charolais (Tex-Mex), and Dos Gatos coffeehouse. Beyond that, I'm happy eating Thai, Bonefish grill, the student union.... Anything is good for an adventure in eating! Like most people here, I don't eat out very often. Lunch or dinner at a restaurant is typically done as a convenience when meeting friends. Also like most people here, I find it difficult to convince everyone to even try a lot of ethnic places. I'm much more comfortable in a dive than I am in a 4-star restaurant, though, so that affects my choices too. I really wish we had a good BBQ joint around here, but I'm afraid we're at least 600 miles too far north for that. I'd love a real/good Chinese restaurant too, but they're long gone. I don't even know what REAL Mexican food is like... We have a lot of Vietnamese/Thai/Asian restaurants in the larger city that are good -- they're just not my favorites. OTOH, I can probably find liver & onions fairly easily around here! lol! I need to try to remember to take photos when I'm out! photos of the menu, food, people, place. Plllog, the Khyber Pass restaurant I go to in San Diego is in Hillcrest. I've not been to Kearny Mesa, and I'm not sure where that is. Lars: You're lucky to have so many good restaurants by you. I frequently visit DD in Woodland Hills and the food in the area is the worst; even the chain restaurants are the worst of the chain. I guess I'm just spoiled by the good quality of most restaurants here. Our little city has some great choices (and some spectacularly bad ones), but I'd choose from the 3 or 4 Farm to Table type places that specialize in our local, fresh seafood. My favorite is owned by a Vietnamese woman who is classically train in French cuisine, so it's an Asian fusion menu. Everything is fresh and delicious. We have a newish seafood restaurant opened by people who have their own oyster farm, so their seafood is extraordinary. The other best restaurants in town are Thai or Vietnamese and one or two authentic Mexican restaurants. There are a few other ethnic restaurants, some I haven't tried because our health department publishes their inspection reports and some restaurants have continual bad health practices. (It's not just the ethnic restaurants with the bad practices, but they are the only ones I'd be interested in trying, if they could improve in that area). I love sushi, but the best sushi restaurant has horrible health reviews and I just can't go there. My favorite restaurant on Earth is Le Bernardin. My second is a small, chef owned and operated restaurant that is two blocks from the Eiffel Tower. Locally, I love a seafood restaurant that is on an inlet, and has outdoor dining and a “tiki” bar in the summer. There are a few new restaurants in my town, Indian, Thai/Vietnamese, Greek. No shortage of other cuisines in the area. Being in Kansas City of course BBQ is high on the list but that travels well so I usually just pick up a family platter and bring it home or smoke some myself weather permitting. I would choose seafood restaurants most of the time myself but then I can make most of that myself as well. I do like Sushi and have tried to make it at home a couple times but my arthritic fingers don't make a very appealing final product. I imagine more practice would help. Just want to say, I LOVE pillog's comment. So true! Can't tell you how many times I've had absolutely terrible "housemade pickles" at restaurants, because fermentation is A Big Thing with so many chefs in this area. Honest, if I wanted to eat something that tastes like straight Heinz white vinegar with nothing else added, I could do that myself. And what the heck is it doing next to my Eggs Benedict anyway?!?!? The closest restaurant to me with anything edible is a Greek pizza joint. The pizza is bland and unseasoned (unless you count the salt) but the Greek salad is awesome. So I guess there's something closer to me than the two previously mentioned restaurants, but frankly I don't consider there to be any choice if I'm not in the mood for salad. ROTFLOL!!!! Pickles and Eggs Benedict???? Talking about overwhelming a Hollandaise! I was actually thinking more about a dive we went to that has been around forever and never looked enticing. It got good reviews, however. No bueno. Greasy soup too salty to eat. Definitely homemade. The whole meal was...meh. It was a cheap dive. A very popular one, but not a very good one. Lars, I found this blub on the San Diego Magazine website: Started by an Afghan refugee over 30 years ago, Khyber Pass first debuted on Convoy with two burners and one sink. Thanks to a customer’s monetary gift, Khyber grew and moved to a bigger space in Hillcrest in 2000, where 75-year-old chef-owner Ziaullah Nasery and chef Qais Farmuly dish out curries, stews, and kebabs, as well as nonalcoholic drinks, like doogh, a savory yogurt drink. That explains why I thought it was gone. :) The new place as seen on their website looks posh. The old one was totally funky and looked kind of like a cave with Afghan hangings on the walls. The menu wasn't long, but the food was amazing. I was glad to read up on how they've made such a success of it. Kearny Mesa (Convoy) is East of Clairemont, which is East of Pacific Beach. Ish. the best food here can not be found in any restaurant. the hot food stalls at 2 local farmers markets beat any restaurant in variety, food quality and genre. the falafels, , the empanadas, wood fire pizza ,the west Indian patties and 100 other dishes put any towns restaurants to shame. thats not even counting the breads and pastries at the market. Our favourite restaurant is a medium priced Italian with home cooking flavours. I always have their Saltimbucca with sauté potatoes and another seasonal vegetable. Hubs usually has a steak with a garlicy red wine sauce. There are lots of different Asian restaurants near us and we do go to them occasionally. A nearby Malaysian is currently the favourite as they use that Belachan salty seafood condiment, which I have a thing about at the moment. Like a very few others have commented, we've nothing very good here - all so limited. An authentic Thai, but I believe they might fall the way of others... DH has a favorite Mexican restaurant, but frankly it's Americanized too (I was fortunate to enjoy authentic when I lived in NM). So many tourists here, and the restaurants, rather than upping the quality like other areas where tourists visit do the opposite - sad food, overpriced. We dine at home. I look for recipes and have to order special ingredients to expand our palate/tastes/experiences. But to answer the question, my favorite would be a steak house nearby. Decent steaks, but it's their crab chowder I love most. Both of us retired. We have a chuckle every time we decide to get a quick late lunch or early supper out as in "does that place fall within our five mile rule?" That would basically mean 1. is the choice within a five mile (+/-) radius as the crow flies from our driveway? 2. how many over crowded and pokey school zones are we going to have to traverse at that time of day? 3. if it's rush hour then we don't want to be anywhere near the freeway (there are three close by) 4. is the food 'there' just barely better than slowly starving to death or is it something we actually look forward to? We actually have a relatively large choice of restaurants but relatively small choice of types of food within a reasonable distance from our house... the typical chain restaurants with the same menu at any given location within that chain, at least three different bar-b-que spots or more if you count the small ones in locations you'd never find unless you were probably lost and wandering around aimlessly while trying to find your way back to the main road, three or four Mexican sit down type restaurants (two of which are owned by the same person), several sandwich type places all of which are chain owned, more fried chicken places than I care to count, a few pizza chains most of which are take out only, hamburger joints, and so on. Most if not all have pretty decent food even if not necessarily imaginative choices. My eating out problem mainly stems from the absence of more home style or "diner" type restaurants where the choices, both main dish and sides, aren't limited to mainly one type of fare be that Italian, Mexican, oriental buffet, fried catfish and so on. Although I've eaten at them off and on for years, I was never a huge cafeteria fan but at least you had multiple choices of what to choose from on any given visit and if you wanted to eat all meat, all vegetables, all desserts, or simply have a cup of coffee or glass of iced tea and a cookie, it was ok. Not the greatest cuisine but at least you had/have multiple choices. My other issue is that while I go out to eat a meal, my wife eats very little per meal and so is not usually interested in going somewhere that she can't get a kid's plate or something small. To that end, one price eat all you want type buffets are typically a last choice for us unless someone else has decided the location. She willingly goes with me just about anywhere but overall, a small bowl of salad or a cup of soup and a cracker would probably suffice. So... we go out to eat regularly but typically, it's not worth putting a sticky note on the frig door to say "we need to go "HERE" again!!!!!!". nancyjane_gardener the restaurant is Firmin le Barbier. It is chef-owned, Alex is the chef, Gigi is his spouse and front of the house. It is tiny, and sometimes it is only Alex cooking (sometimes he has a sous chef). They are open for lunch and dinner (starting at 7), and you must have a booking/reservation for dinner. It is a short walk from Tour Eiffel. I can't wait until I can see them again and eat Alex's delicious food. Nigella's Clementine Cake - make ahead? Why would Easter ham be mushy?